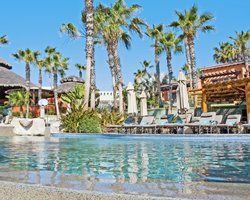 All it takes is one visit to Cabo San Lucas for you to find out why this ranks as one of the top vacation destinations in the world. From the gorgeous waters that practically sparkle to the sandy beaches that feel soft and smooth on your feet, this Mexican getaway is perfect for almost every type of visitor. It's the type of place where you can celebrate a special occasion, enjoy a romantic honeymoon trip or have fun with your closest friends. 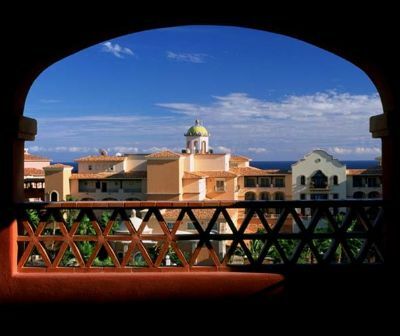 Hacienda del Mar Vacation Club offers timeshare resales that make it easy to experience the best of Cabo San Lucas. 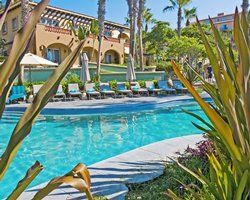 The Cabo San Lucas timeshare resales available at Hacienda del Mar Vacation Club come with all the amenities and features of a true vacation home. 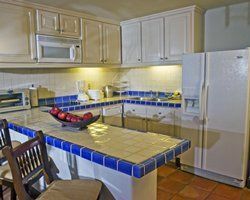 You'll have a queen bed, kitchen appliances like a microwave and refrigerator, an LCD satellite television and a bathtub with a Jacuzzi or whirlpool tub. Couples hoping for a romantic weekend getaway will love the studio units, but you'll also find resales with one to three bedrooms. Many of these units have a sofa in the living room that unfolds into an extra bed. You can also request a crib or a portable crib for your little one and ask about other baby furniture like a changing table or highchair. 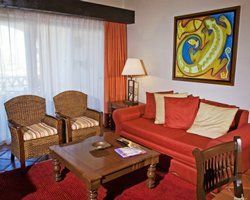 Hacienda del Mar Vacation Club wants you to feel as safe and comfortable as possible during your stay. That is why you will find staff working around the clock. The resort offers convenient access to the beach and lets you walk right into the surf just minutes after leaving your timeshare. A volleyball court and game room with a ping pong table and other activities are perfect for guests of all ages. The resort can make a tee time for you at the golf course and find a sitter for your kids. Popular activities near the resort include fishing, running, jet skiing and golfing. You can even take a safari tour on your trip. All of these activities and other fun things to do are close to the Cabo San Lucas timeshare resales available here at BuyaTimeshare.com. Contact Hacienda del Mar Vacation Club Specialist Today! 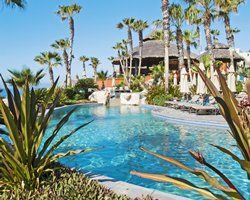 I have been all over the world and found Hacienda Del Mar to be one of the most beautiful, relaxing and all inclusive resorts I have ever visited. So much to do for the entire family along with sites to visit or stay in one place for the whole week. Weather is always wonderful, the staff is amazing and the visit will make a memory for a lifetime. 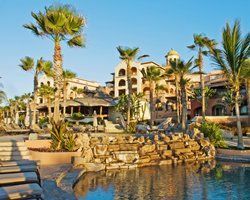 Check out the home site for Cabo Hacienda Del Mar and I promise you will be impressed. Mexico is a great vacation wonderland. 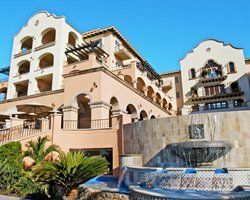 Hacienda del Mar is a must have Timeshare. It is where the Sea of Cortez and the Pacific oceans meet. Totally awesome! My husband & I vacationed here back in 2000, for the first time and fell in love with the resort. So we bought one week, then the following year we went back and bought another week. We have been coming here for 7 consecutive years. Nowhere else can compare. The property is so pristine and beautiful flowers everywhere. Every Tuesday afternoon, they have a reception at the Gazebo to welcome new arriving guests with FREE food and drinks. The resort decorates all the parties so beautifully! Mexican music and Free giveaway drawings too! There are 2 Kiddy pool areas. There are 5 pools and an infinity pool overlooking the ocean. Pool staff always ready to assist you with lounge chairs, umbrellas and towels. This resort has 5 delicious restaurants right on property. Pitahayas is a 5 Diamond Award restaurant under a spectacular palapa thatched roof over looking the magnificent Sea of Cortez, with spectacular waves. The bar area has a fire pit and lounging furniture to enjoy your after dinner drinks. Many other resorts bus guests here for dinner, to enjoy this magnificant restaurant, under the direction of the famous chef Volker Romeike! Other restaurants on premise are: Girasoles, which for dinnertime, has a Mariachi group playing your favorite Mexican music. Great food, friendly staff and delicious Margarita's! Also, Tomatoes, which serves room service too, Sirenas, LaSuerte Tequila Bar, De Cortez Steak Restaurant , Delfines with wet bar and great Pina Coladas & Margaritas, Tortugas Snack Bar, Sports Bar and the stocked Deli Portales for all your quick shopping needs. A super Walmart is a short cab ride away. There is a resort shuttle that runs daily to and from the Marina & Mall district, where you can enjoy the glass bottom boat rides to see the famous natural El Arco and view schools of beautiful fish, sports fishing trips, snorkeling, shopping and several restaurants to enjoy your dining pleasure. Whales come to Cabo, during the winter months, to have their babies. So you can take a Zodiac boat ride to see the Whales. Awesome! The Jr Suite is at a premium. There is no more building on this property. Because this resort is a Five Star, you can travel to other resorts and use one week for two somewhere else! Great Bonus! A beautiful very old Chapel is on premise next to the Sheraton Hotel, which holds weekend Catholic Mass. Fly right into Cabo and take the Transcabo Transporte from the airport and back. All set up by the resort. The staff stay with this resort forever! The same friendly employees are ready to serve you with welcome back kindness, happy to see you again and are always ready to assist you with your every need! The housekeeping staff is very friendly and do a great job! They even wash the sidewalks! You hardly ever see a leaf on the paths! Very immaculate for sure! Also the Cactus Spa is on premise. There is also a Convention Center. Many weddings take place here also. The golf course Cabo del Sol, which Hacienda del Mar owns, offers two of the most prestigious courses. which is a short 5 minute van ride away, from the Bellman stand. There is the Desert Course designed by Tom Weiskof and the Ocean Course designed by Jack Nicklaus, which remains the crown jewel and ranked one of the top 100 courses. If you don't want to golf, you can take the van ride and just enjoy having lunch and/or dinner and cocktails! 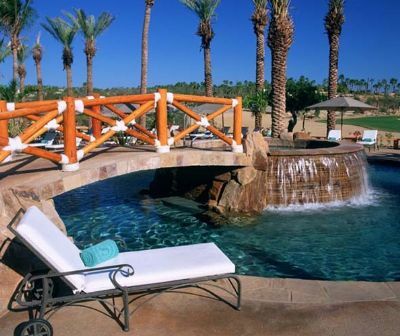 This clubhouse, serving both courses, is the only full-amenity clubhouse in Los Cabos. Absolutely a must do! Just sit, relax. listen to the birds chirp and watch the golfers! 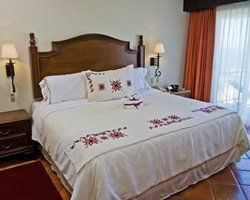 Hacienda del Mar Resort offers a very quiet pleasant and serene, peaceful atmosphere. It takes all your worries and cares away. Just relax and listed to the waves. I am selling, as my husband passed away a few months ago and this was our happy place together, for many years. You will not be disappointed in purchasing a week or two at this magnificent resort. Just log on and make me an offer. Waiting to hear from you soon.